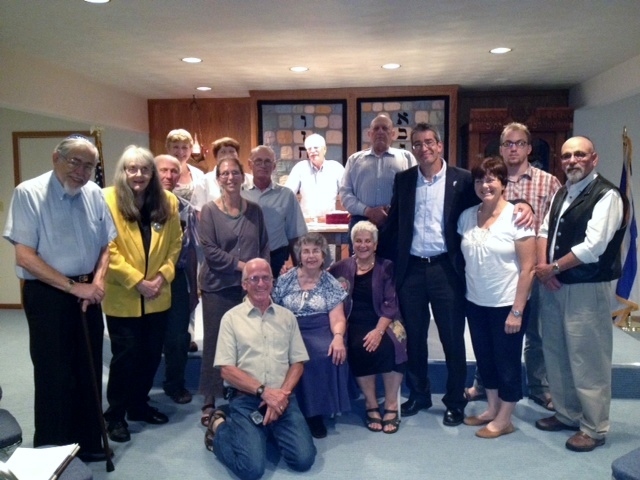 Council General of Israel to the Midwest, Roey Gilad, and his wife Nitza, visited Synagogue of the Hills on August 24th. 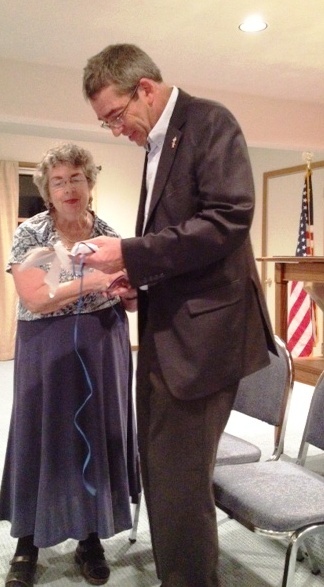 The Council General shared his insights regarding the situation Israel faces with her neighbors in the Middle East. He explained that the political climate changes daily. The talk was very enlightening and informative. Members of our congregation are fortunate to live in a destination where dignitaries travel. Often times they make a special visit to the synagogue to share their knowledge and wisdom. 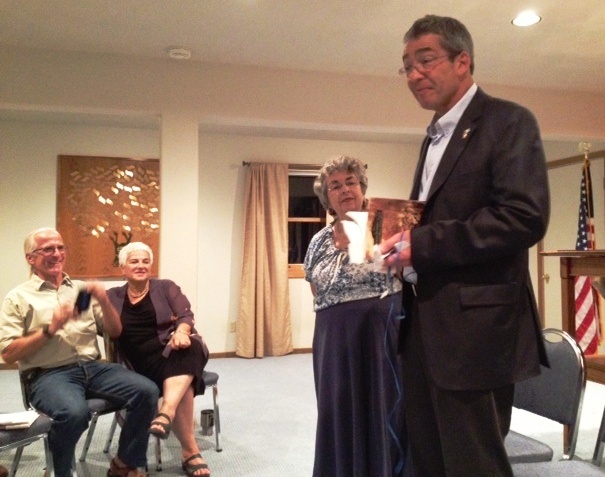 To thank Council General Gilad for speaking to us, on behalf of the congregation, Ann Stanton presented a copy of her book, “Jewish Pioneers of the Black Hills Gold Rush”, to Council General Gilad.